MUMBAI: Ever since Nia Sharma has joined the cast of Colors’ Ishq Main Marjawan (Beyond Dreams), the actress has been facing the brunt of trollers. Nia, who plays the character of Aarohi in the drama, is seen in a modern avatar. She is often spotted donning bold looks. However, fans miss the charm of the simple and innocent Aarohi, played by Alisha Panwar. 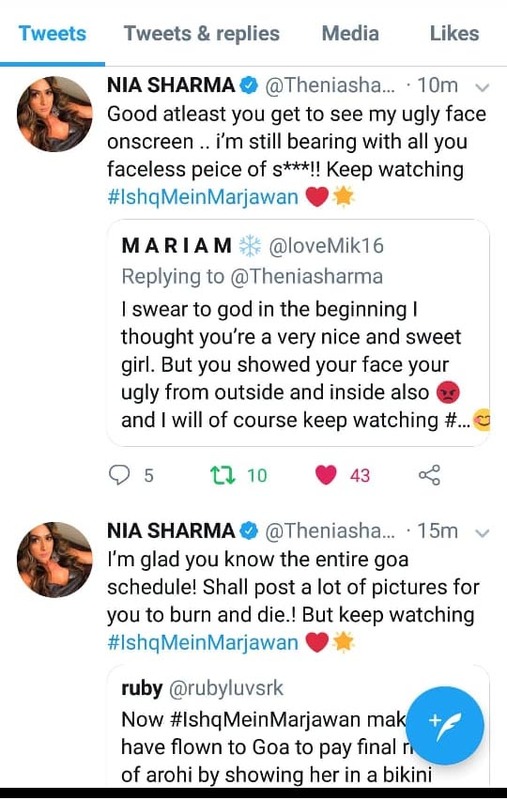 Nia, who is known for her bold and bindass attitude, gave a befitting reply to all the trollers with her response. Take a look!